Challenge: To create an original 'Christmas' design for a Christmas Tree, suitable to be hung. Background: As previously stated these designs all evolved from the same project. While we had three printers running, filament delays meant these were backed up and the project stretched into December, this allowed students to utilise the new beta version of Tinkercad (which is a significant improvement) and also refine their designs based around earlier prints. Task: To create an original (from scratch) design which predominantly featured the use of the new objects and lettering from the beta version of Tinkercad.' The original idea was for a personalised one, then the School was requested to make a series of prints for a Christmas Tree at a local shop - however students involved in the process did not want their prints in general to go to the shop so they used them for their own trees despite featuring the name of the school! Level of Difficulty: Easy - some of the students involved modified prints and designs that were used as part of the 'Cookie Cutter' projects with subtle changes. The students creating from scratch were able to create the key required parts from the basic set up. Issues: The student decided to individually create the letters using the old version of Tinkercad, therefore they were slightly different sizes and the second 'a' was noticeably smaller than the others, however student was more than happy with this. The box was introduced as a base for the printing of the letters. Size: 20cm from tip to tip and 20cm across, depth of 5mm. Process: The original design was created using a star shape that was located as a stencil GIF as part of the 'Cookie Cutter' project. 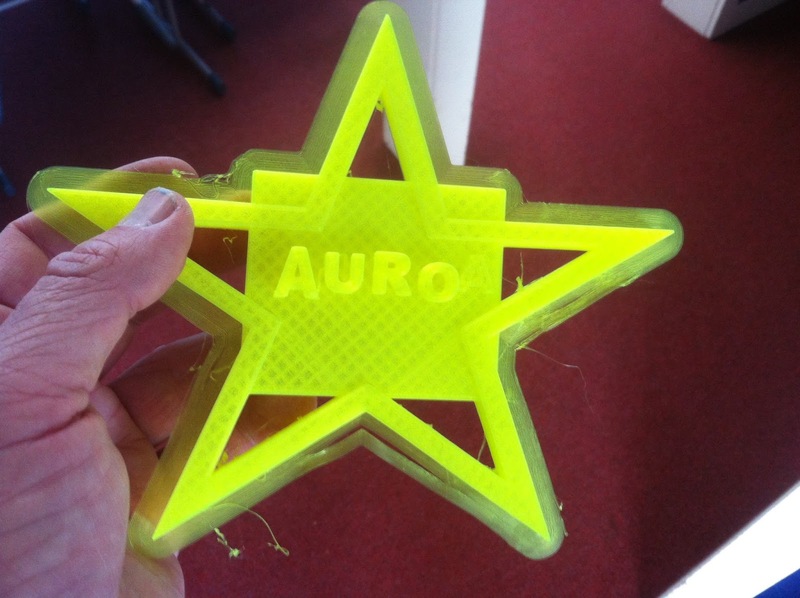 The student wanted to use a base design for a star for the top of the tree and thus took the original star design and simply added the 'Auroa' block and lettering to meet the criteria desired for the Christmas decoration. 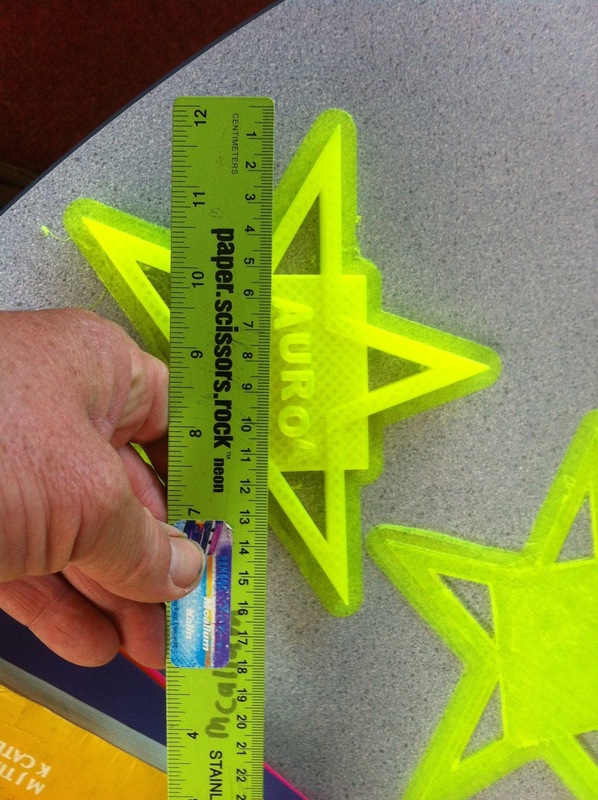 The new version of Tinkercad was not used as the student preferred using the older version which he was familiar with (see note about the lettering). Cura was used as with most prints on this site and then the print was downloaded. Reflection: the student himself was extremely happy with the print but this was essentially just a small modification of a previous project, and while he was happy with the results he could have had more variation with it. As a project to capture attention for a display piece its some seasonal value and the potential is there for considerable personalisation of the ornament.